Step 1 : Create a Zillow account. No worries as this is free. Use your real name as Zillow may check to confirm you are the owner of homes you claim. Step 2 : Claim your home. This brings the home to your ‘My Zillow’ tab of saved homes so you can more easily find it next time you log in. Your home may already be claimed but no worries you can claim it, this may require you to confirm some additional information and provide your name and telephone number. Again you want to provide accurate information in case Zillow checks up on it, you want your Zestimate to stick. Step 3 : Update your home facts on Zillow. Take your time and go through all of the home facts. Be sure to update them accurately and honestly without embellishing. If you indicate you have a 3 car garage but only have a carport, chances are buyers won’t be too happy with you and it just isn’t worth wasting anyone’s time. The biggest thing to watch for that will have the most immediate impact on price are the square footage. Make sure it is correct. Why this method works is straightforward; Zillow relies on public data about your home to determine its Zestimate. If the data is not accurate the Zestimate will not be accurate. So any improvements or features of your home not report on Zillow that you correct will have a positive impact on your home and in turn lead to an increase your Zestimate. Our home has an undated: kitchen, family room, all 3 bathrooms, 2 of the bedrooms, all new windows, new window treatments and flooring. In fact our home has been updated frequently as our tastes and needs have changed. Thanks for your feedback Mike! You can log into zillow and update some of the information about your home which can change the zestimate. 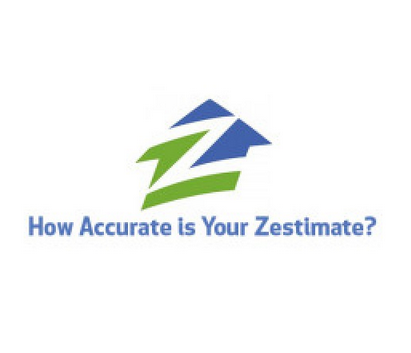 You can now also dispute the Zestimate and work with Zillow to adjust this estimate.